Why Stay at Donner Lake Village? With kokanee salmon and plenty of Mackinaw, brown and rainbow trout, Donner Lake is a prime attraction for serious and casual anglers alike. Resting 2 miles west of Truckee at an elevation of 5,969 feet, this dazzling lake has a reputation for yielding much larger Mackinaw than nearby Lake Tahoe. It also provides a gorgeous backdrop for a relaxing afternoon in one of the country's most beautiful natural settings. Fishing is legal one hour before sunrise to one hour after sunset. Where can I get up to date fishing reports? Before heading out to the lake, visit www.mountainhardwareandsports.com/fishing-report forin-depth reports featuring key details about weather, water temperatures and the best areas to hook more fish. What kind of fish are at Donner Lake? 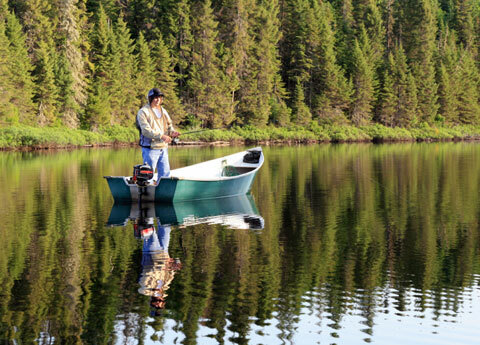 Donner Lake plays host to Mackinaw, brown and rainbow trout. The freshwater lake also contains a large population of Kokanee Salmon.